Daisy is truly the glue that binds our family. 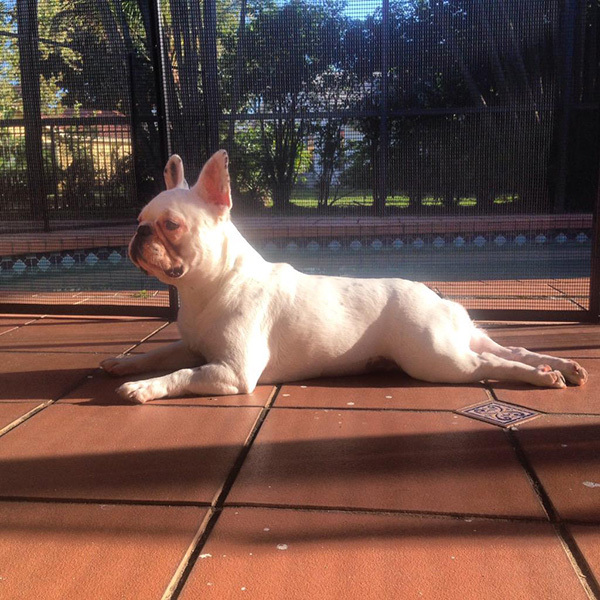 She came into our family about a year ago on the heels of our boston terrier's passing. We weren't sure if we were ready for another furry family member yet, but she brought with her such a sense of comic relief, as well as an overwhelming amount of love, that we are now so grateful that we found each other - especially during such a difficult time in our lives. We recently added another member to our family: Lilo the Pug. Daisy and Lilo instantly have become the best of friends and are nearly inseparable. It brings us so much joy to share our lives with these animals and to share our joy with others. 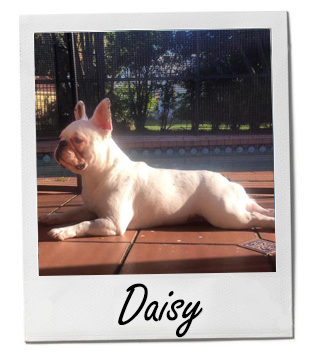 Daisy loves to pose for photographs and learn new tricks; but, true to her bulldog nature, Daisy always has to have the last bark, and truth be told, we certainly don't mind!